“Let brotherly love continue. Do not forget to entertain strangers, for by so doing some have unwittingly entertained angels.” —Hebrews 13:1-2 NKJV. When I was a little boy growing up in the church we were taught to always be welcoming to strangers, particularly to people we didn’t know because they might be angels sent from God to minister to the saints. When whites visited our church in West Oakland this meant something special to us. They may not have been angels, but to many they were the closest thing to being a heavenly messenger. They would often cry, prophesy, and preach long sermons while thanking God for their “colored brothers and sisters.” Thankfully things have changed and the Black Church has awakened. On Tuesdays of each week at 7:00 p.m. members and visitors alike attend Shepherd’s Bible Study at our church (Memorial Tabernacle Church, Oakland, CA). It’s an informal adult Bible study group where anyone can come in casual dressed to hear me teach a Bible lesson and ask questions. This past Tuesday I was sitting on my lecture stool in front of the class when I noticed a white young man in his twenties dressed in all black and wearing a black hoodie enter the church walking around in the vestibule of the sanctuary. I alerted one of the men in attendance of his presence and sent him out to go see what he was doing or if the young man needed assistance. However before the church brother left the sanctuary to speak with the young white man, he entered one of the side entrances. Everyone in attendance could see my eyes focused and attentive to the young man’s presence. My eyes followed him and observed his every move. After the young man walked in everyone turned to see what or who I was focusing on. Was I being paranoid, suspicious, and fearful for no reason? Was I now profiling white young men in the same way Blacks have been and are still profiled each and every day in America? Our church is located in a racially diverse community not far from the University of California, Berkeley, campus. White youths frequently visit our church services to enjoy the Black worship experience—singing and music—and often leave just before the sermon. Unfortunately, the events of the past month have made me a little nervous, cautious, suspect, and hyper-vigilant about white men in general who may attend our church services. To make matters worse, only days following this atrocious and heinous act in Charleston, over seven Black churches in the South have been burned to the ground by an unknown assailant or some white supremacist group. (No one to-date has been caught or charged.) After the events over the past month I sincerely considered the idea of buying a gun to protect myself, my church, and parishioners. But then I had second thoughts and realized this indeed was a bad idea for a number of reasons. First, and foremost, I am afraid of shooting myself; and second, I have a bad temper, and I am not always rational when I am angry. Third, I might panic out of fear and end up shooting an innocent or the wrong person. Lastly, there is the moral issue of a servant of Jesus carrying a concealed weapon of violence. When Peter tried to defend Jesus from being arrested by Roman soldiers, Jesus commanded Peter to put away his sword. “For all who take the sword will perish by the sword,” He said (Matthew 26:52). Like Mother Emanuel AME, our church literally opens its doors each week to welcome people of all races to worship with us. Our ushers and greeters stand at the front doors to greet our guests and first-time visitors to enjoy a Christ-centered African American worship experience. We want people to feel comfortable when they worship with us for the very first time, particularly if they’ve never been to a Black church. We have no religious filters or prerequisites for anyone who sincerely seeks to know God, and about his Son, Jesus Christ. One’s race and ethnicity doesn’t disqualify or prevent anyone from entering the house of God. It is His house and He welcomes all to come. No one is searched. We have no metal detectors or security guards at the doors to check for concealed weapons. The very thought of changing the way we see and greet people to our church in the future deeply troubles and concerns me. When the leadership of our church met to discuss safety we were all cognizant and aware that some things had to be done differently in the future and that there was a definite need for better security. Gun violence at church and against the clergy is not new nor is it new to me. There are numerous incidents of gun violence at and in churches across America, however, the deaths of the Charleston Nine was different. Innocent people died because of their race; hated because they were black. I recall in the late 70s, Evangelist Carlton Pearson was held at gunpoint and shot in the hand after a failed robbery attempt following a revival service he had just finished speaking at our church. In 1980, my father, the late Bishop U. S. King, Sr., was kidnapped at gunpoint from his home, six blocks away from the church. And, I was personally robbed at gunpoint after leaving the bank one evening. The gunman took my money after I withdrew some cash from an ATM, and then apologized afterwards because he had to rob a black man. I was just happy to be alive. Pastors basically all agree that some safety measures need to be put in place to protect the church, its members, and its leaders. Many large congregations have already hired security guards to patrol their church grounds. Security cameras and sophisticated alarm systems are being installed to alert the authorities of potential and unwanted intruders. Some churches already are protected by an iron fence, and bars on windows and doors to keep out potential thieves and burglars from stealing and robbing the church. But now we have moved to a whole new level of protection: weapons in the house of God. Actually, a friend told me that I am behind the times and need to catch up. “Guns are already in the church,” he said. I read a recent article, “Pastors and Faithful Pick Up Gun Training: We Need It In Church,” which suggest the need for clergy members to become trained in the use of guns or to at least have someone designated in the congregation trained to use a weapon. People no longer feel safe when they come to the house of God. I even noticed during our Sunday worship service after the massacre in Charleston there were a few members in our congregation who felt a little nervous and uncomfortable. Including me. Some churches have long since discontinued having evening services for that very reason: safety. We know we can never keep the enemy out of our churches, but it doesn’t mean we can’t use common sense measures to protect ourselves. I wonder how members would feel and react if they knew Pastor King was “strapped” with a gun? American Civil Liberties Union. Retrieved July 22, 2015 from ACLU.org. 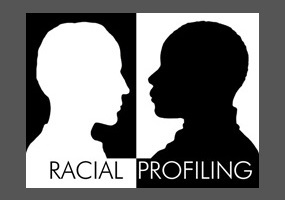 Website: https://www.aclu.org/racial-profiling-definition/. Bianca Graulau. “Pastors and Faithful Pick up Gun Training: “We Need It in Church”.” USA Today, 2015. 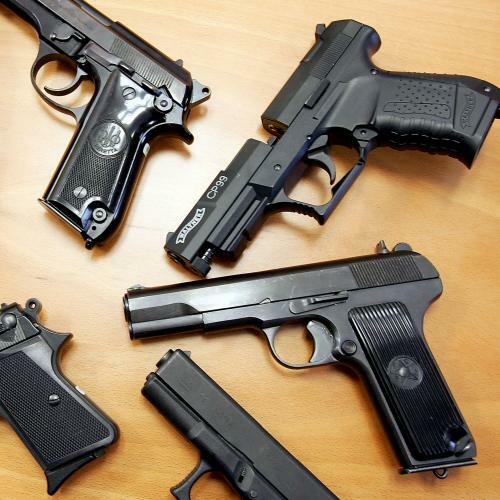 Website: http://www.huffingtonpost.com/2015/06/23/gun-training-church_n_7647788.html?ir=Religion?ncid=newsltushpmg00000003/. Retrieved: July 22, 2015.